The Mens’ National Cup returns this weekend with the teams battling to book their place in the quarter finals. Defending champions London GD face a trip to the South Coast where they will play National League South side Poole Phoenix. Throw-off at Harewood College, Bournemouth is at 13.30. 2018 losing finalists NEM Hawks, also take on National League opposition in North League side Coventry Sharks. The match at the Coventry Sports and Leisure Centre throws off at 12.00 on Sunday. Warrington Wolves, who prior to the 2017-18 competition had won the cup five years in a row, travel to Regional League South-East Tier 1 side Oxford University. 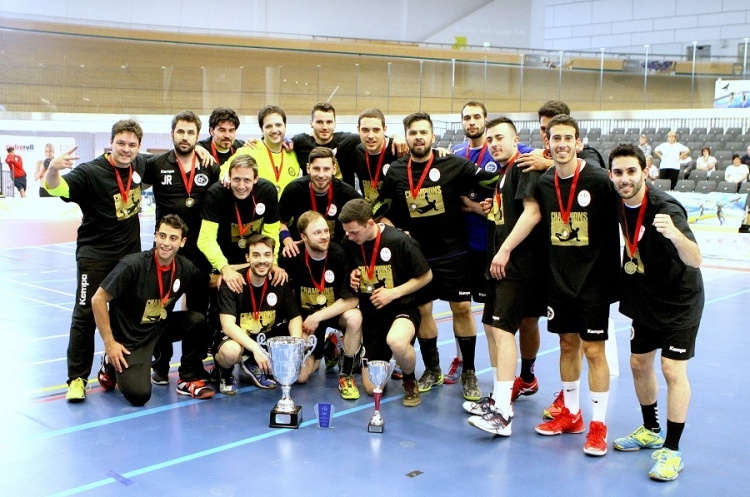 The match, a repeat of last season’s quarter final – which Premier Handball League outfit Wolves won – throws off at Faringdon Leisure Centre at 12.30 on Saturday. There’s another National League against Premier Handball League side match up when Chelsea of National League South play Cambridge. Throw-off at Leyton Score Centre is at 10.30 on Saturday. Regional League South East Tier 1 side Islington take on Premier Handball League side Nottingham at Bonington Sports Centre on Saturday. Throw-off is at 14.30. The other match on Saturday sees Loughborough University of National League North host Premier Handball League side West London Eagles, also at Sutton Bonnington. Throw-off on Saturday is at 16.30 in a great cup double-header. National League South Carshalton Titans will be hoping to provide a cup upset when they make the trip to the Dolphin, Haywards Heath, to take on Premier Handball League strugglers Brighton. Throw-off on Sunday is at 12.00. Liverpool of National League North host Premier Handball League opposition when Olympia are the visitors to Greenbank Sports Academy in Liverpool on Sunday. Throw-off is at 12.30 on Sunday.